McCullough & McCullough has been serving clients in Harlingen, Texas, and throughout the Rio Grande Valley for three generations. Founded in 1945, our firm has been handed down from father to son and has always been a family-owned, family-run law firm. We have grown with our community, and we understand the issues you face when dealing with real estate, estate planning and business law. We know that for you, yours is the most important case we're working on, and we take that responsibility and trust seriously. Our firm has served many families for generations. Children who were beneficiaries of their parents' estate plans may then come to us to handle their own estate planning needs. We can draft and update wills and powers of attorney, establish trusts, establish guardianships for family members who have become incapacitated and handle all of the aspects of your estate plan, including guiding you through probate and estate administration if you have lost a family member. We are well-versed in real estate law, handling everything from drafting and negotiating contracts to litigation for both commercial and residential real estate. We have worked with major corporations, developers, franchises and chain stores setting up shop in our area, as well as individuals who are buying their first homes. We have in-depth knowledge about Texas real estate law and enjoy working on complex projects. In addition, we work with businesses to establish themselves and create the necessary documents for business formation, partnership agreements, franchise agreements and any other legal needs a business may have during its lifetime. Our lawyers work closely with you to guide you through the legal system and solve your problems. We look forward to the opportunity to help, whether you are a member of our community or are from out of town. McCullough & McCullough can help you set up and manage your estate plan. 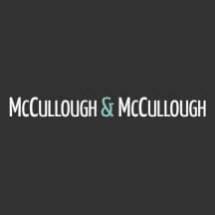 McCullough & McCullough provides guidance and legal assistance for probate and estate administration, whether you are local or in another state.